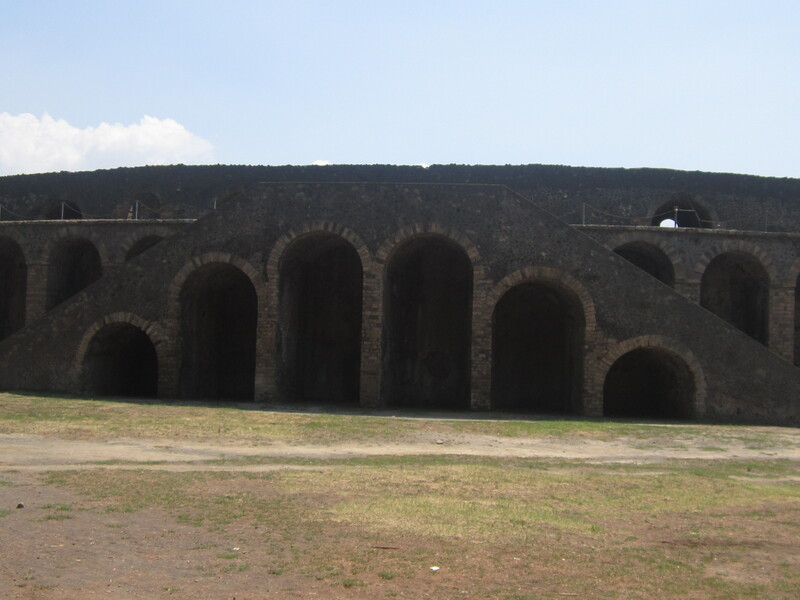 Mount Vesuvius (Italian: Monte Vesuvio, Latin: Mons Vesuvius) is a stratovolcano in the Gulf of Naples, Italy, about 9 kilometres (5.6 miles) east of Naples and a short distance from the shore. 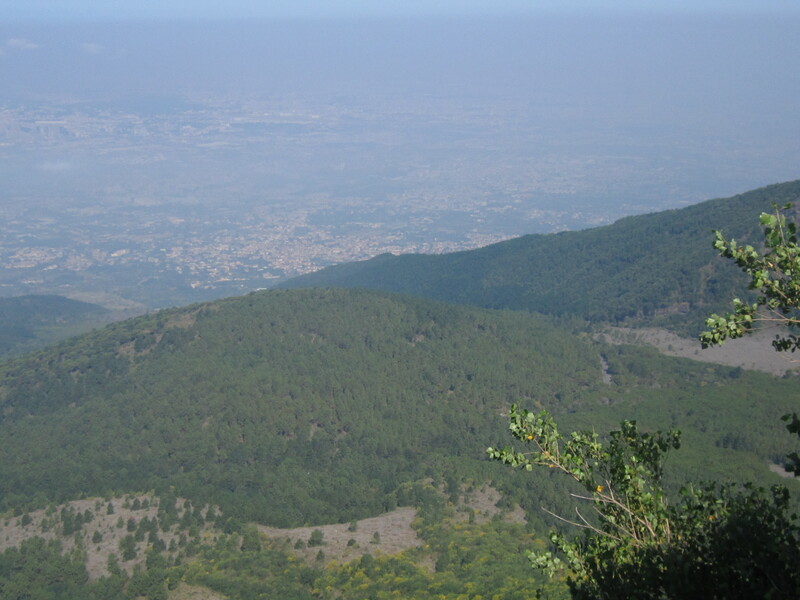 It is one of several volcanoes which form the Campanian volcanic arc. 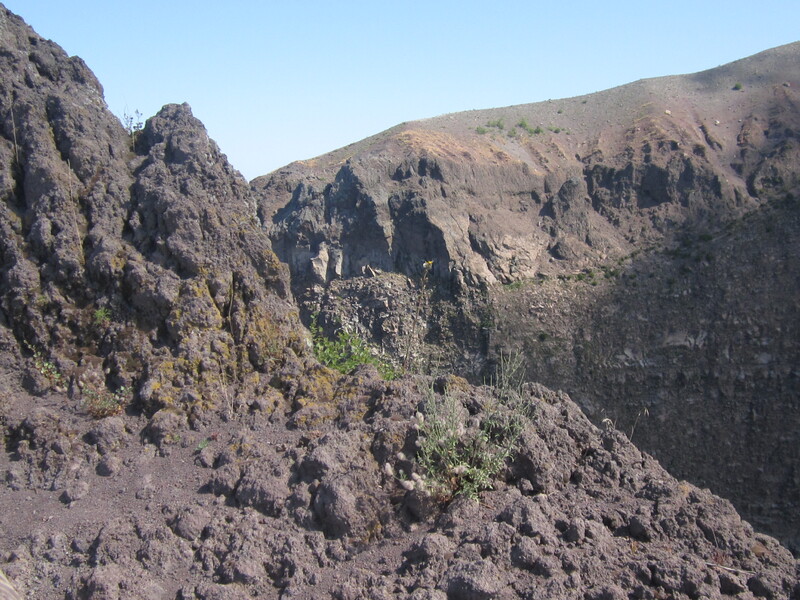 Vesuvius consists of a large cone partially encircled by the steep rim of a summit caldera caused by the collapse of an earlier and originally much higher structure. 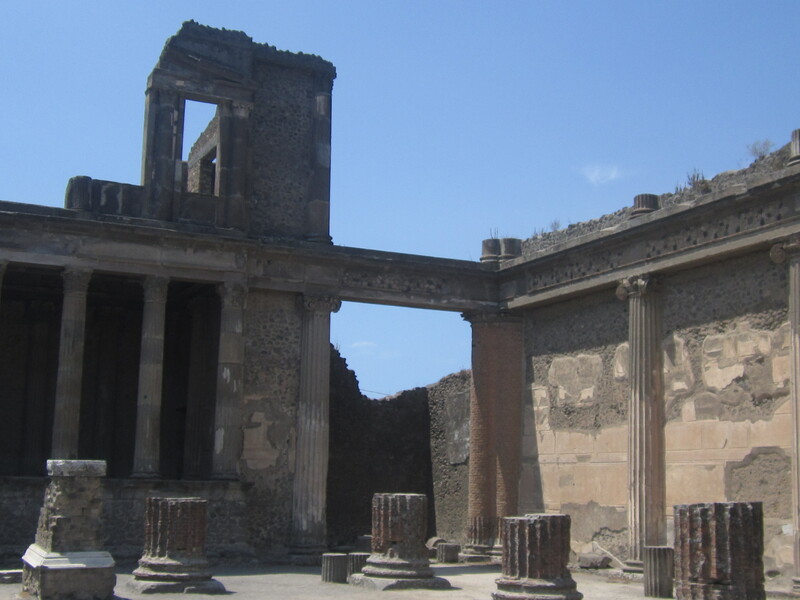 Mount Vesuvius is best known for its eruption in AD 79 that led to the burying and destruction of the Roman cities of Pompeii and Herculaneum. That eruption ejected a cloud of stones, ash and fumes to a height of 20.5 miles, spewing molten rock and pulverized pumice at the rate of 1.5 million tons per second, ultimately releasing a hundred thousand times the thermal energy released by the Hiroshima bombing. 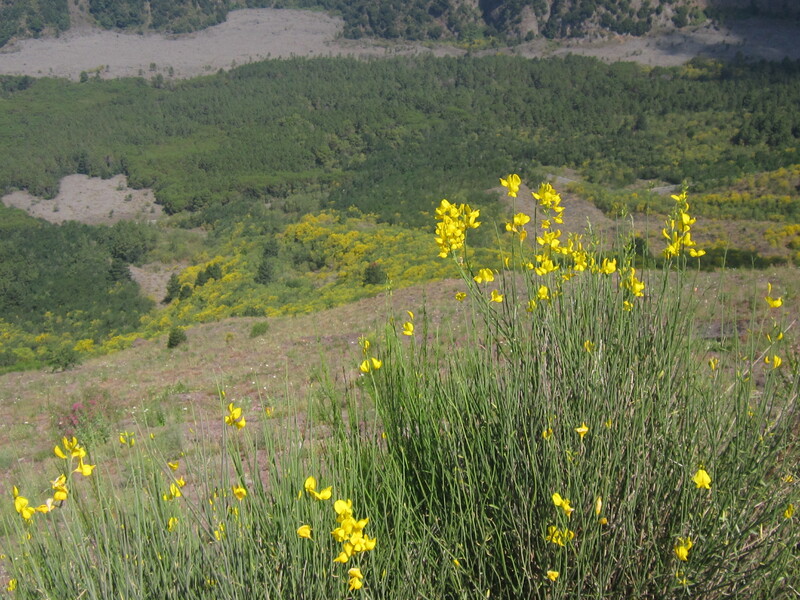 An estimated 16,000 people died due to hydrothermal pyroclastic flows. The only surviving eyewitness account of the event consists of two letters by Pliny the Younger to the historian Tacitus. 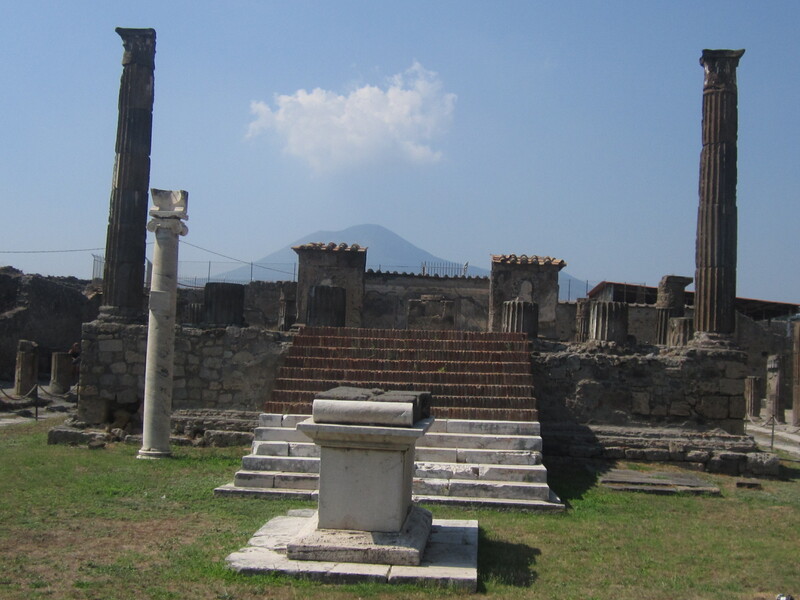 Vesuvius has erupted many times since and is the only volcano on the European mainland to have erupted within the last hundred years. Today, it is regarded as one of the most dangerous volcanoes in the world because of the population of 3,000,000 people living nearby and its tendency towards explosive eruptions. 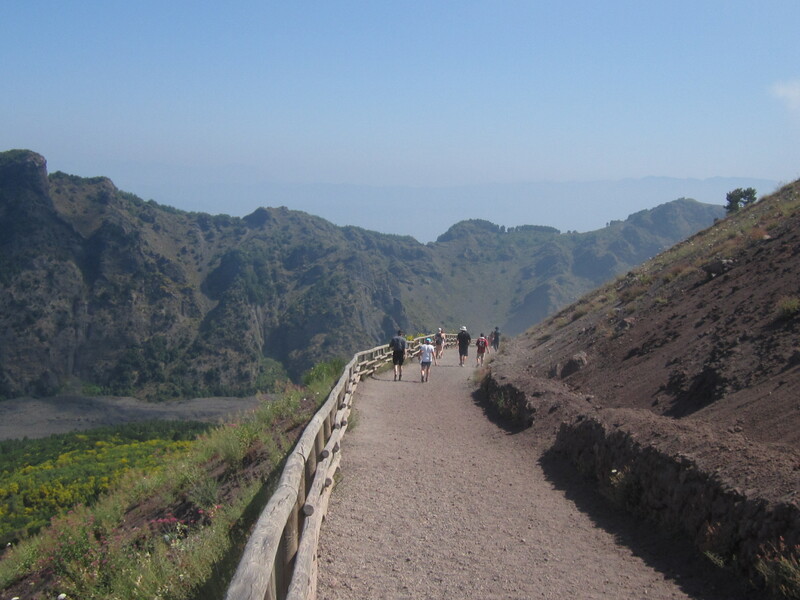 It is the most densely populated volcanic region in the world. 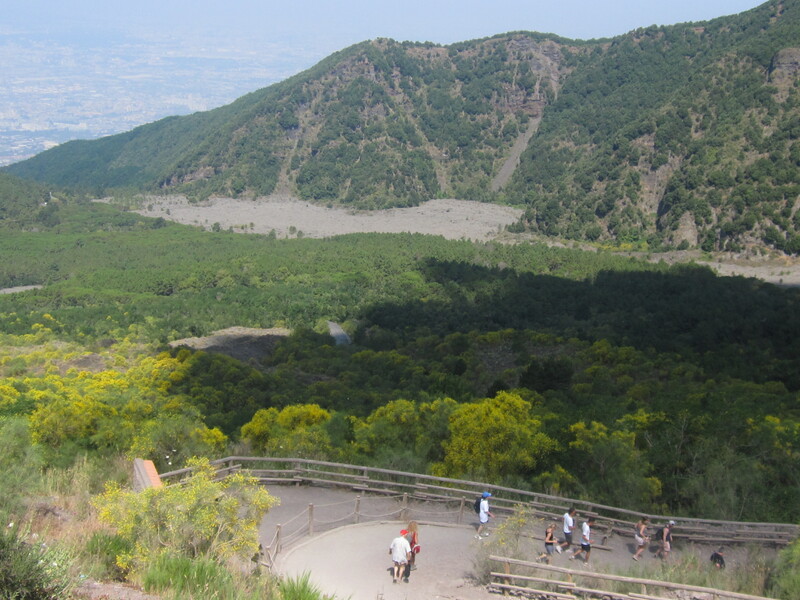 The area around Vesuvius was officially declared a national park on June 5, 1995.The summit of Vesuvius is open to visitors and there is a small network of paths around the mountain that are maintained by the park authorities on weekends. 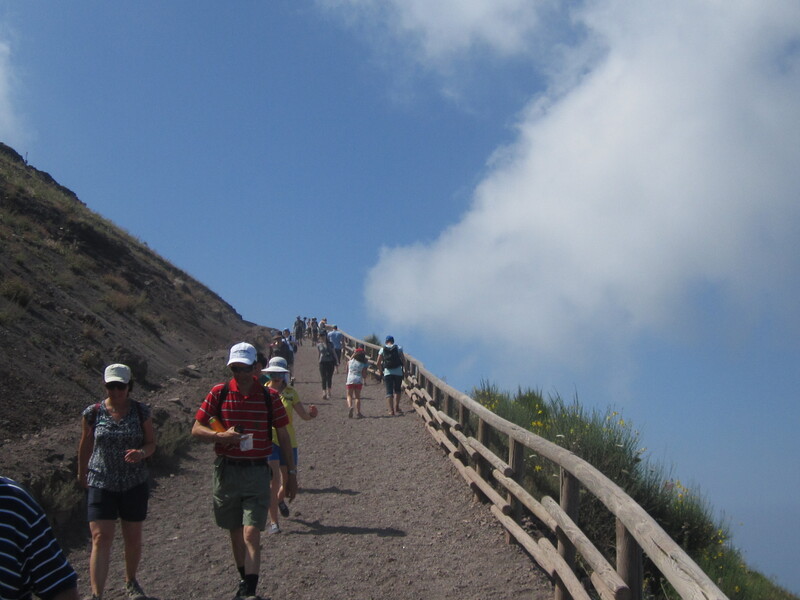 There is access by road to within 200 metres (660 feet) of the summit (measured vertically), but thereafter access is on foot only. 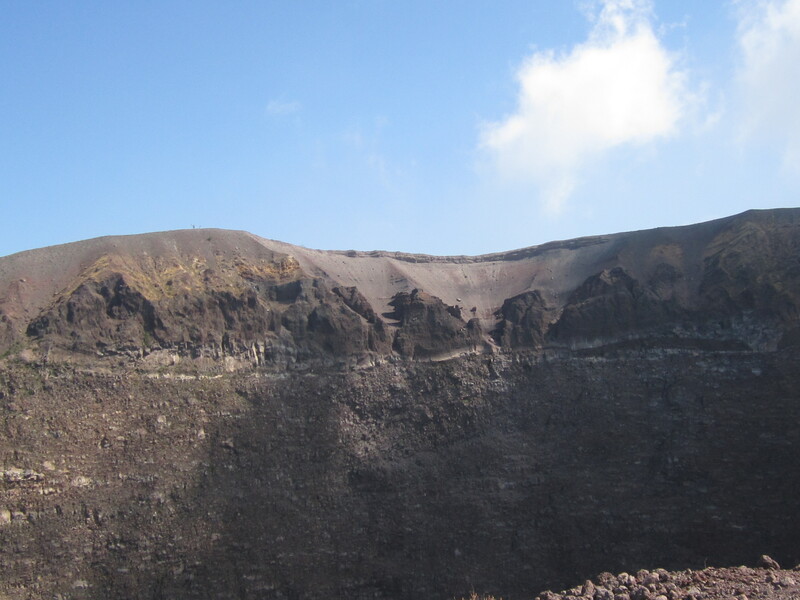 There is a spiral walkway around the mountain from the road to the crater. 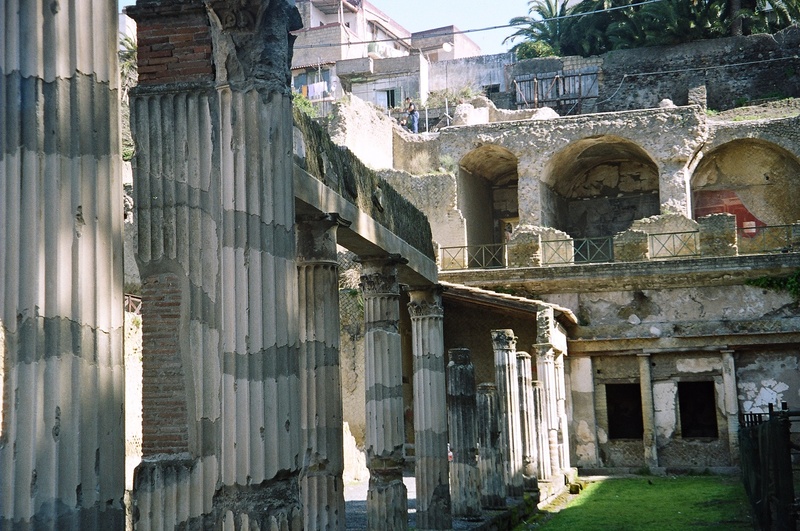 Herculaneum (in modern Italian Ercolano) was an ancient Roman town destroyed (along with Pompeii) in the eruption of Mount Vesuvius in AD 79, which buried it in superheated pyroclastic material. 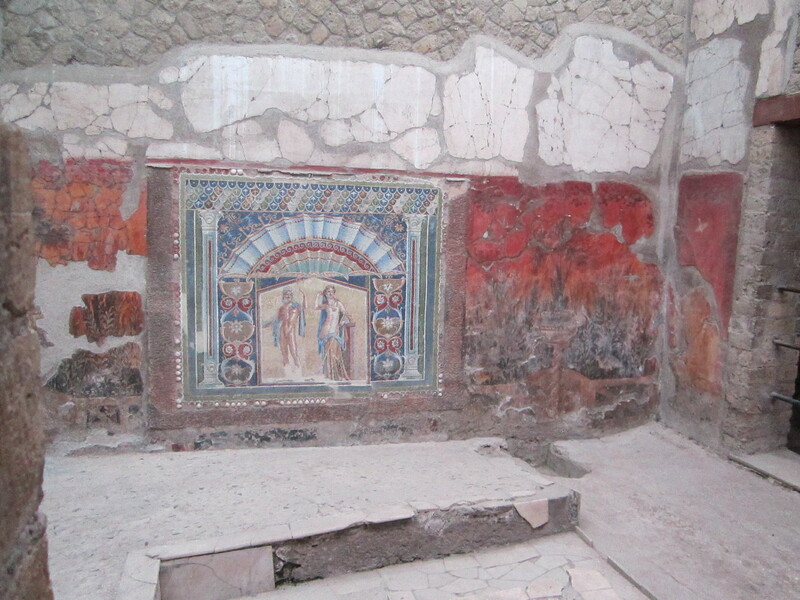 Moreover Herculaneum was a wealthier town than Pompeii with an extraordinary density of fine houses, and far more lavish use of coloured marble cladding. 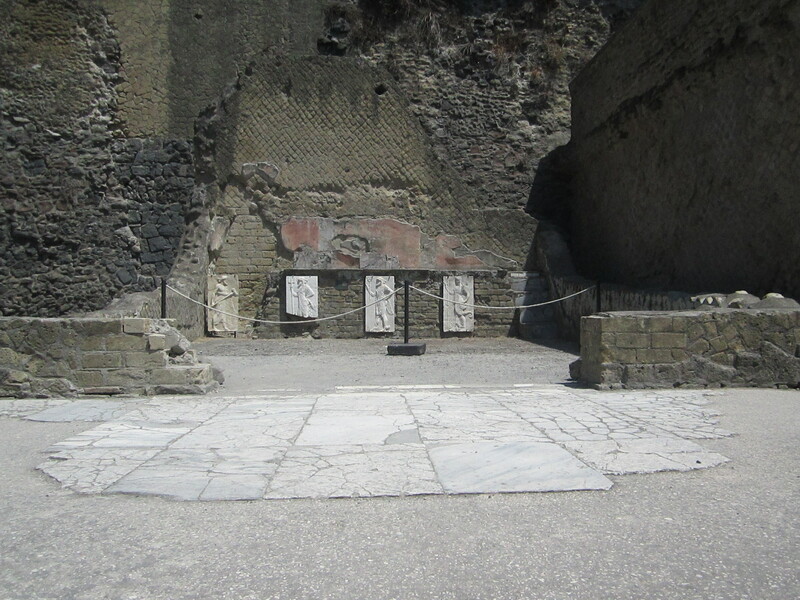 Consequently, Herculaneum is full of art treasures – murals, frescoes, statues, bas reliefs, busts, wall paintings, moldings and so on. 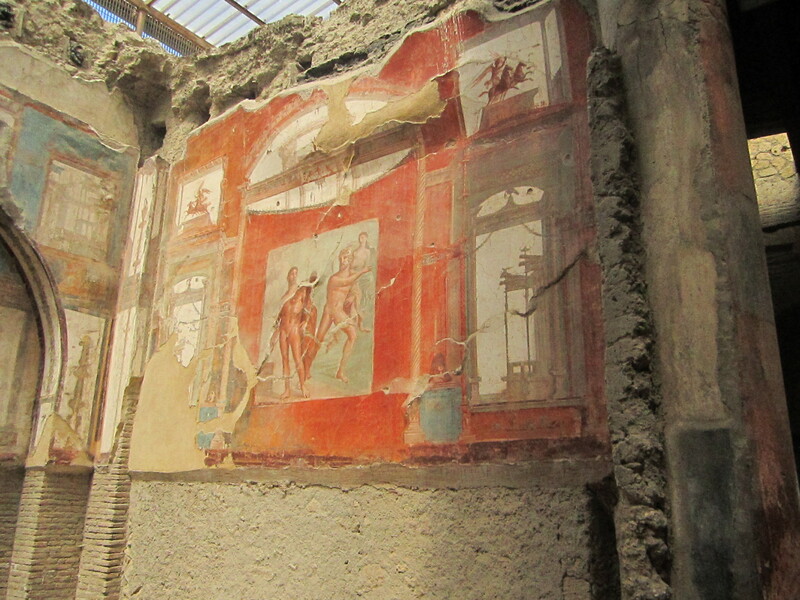 The art at Herculaneum has been preserved for over 2000 years. It is incredible that it has survived for so long. 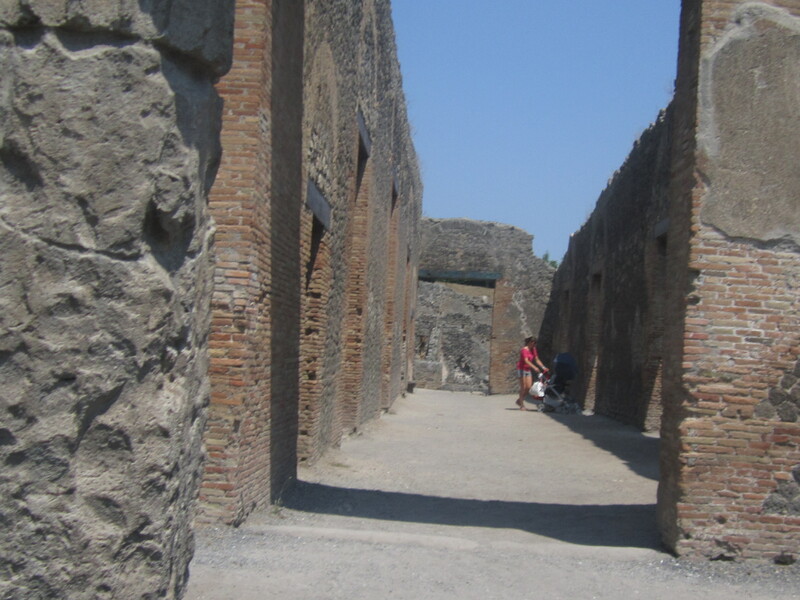 Pompeii along with Herculaneum and many villas in the surrounding area, were mostly destroyed and buried under 4 to 6 metres (13 to 20 ft) of ash and pumice in the eruption of Mount Vesuvius in 79 AD. The eruption was cataclysmic for the town. 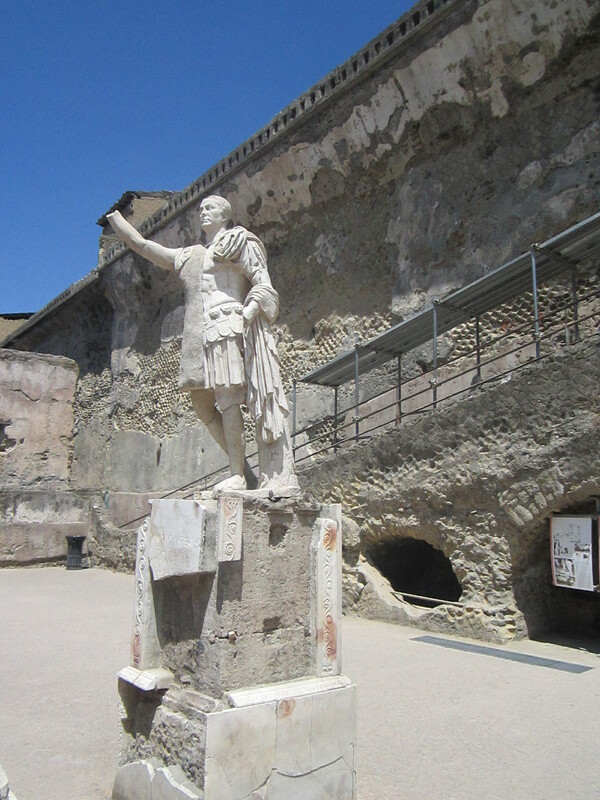 Evidence for the destruction originally came from a surviving letter by Pliny the Younger, who saw the eruption from a distance and described the death of his uncle Pliny the Elder, an admiral of the Roman fleet, who tried to rescue citizens. 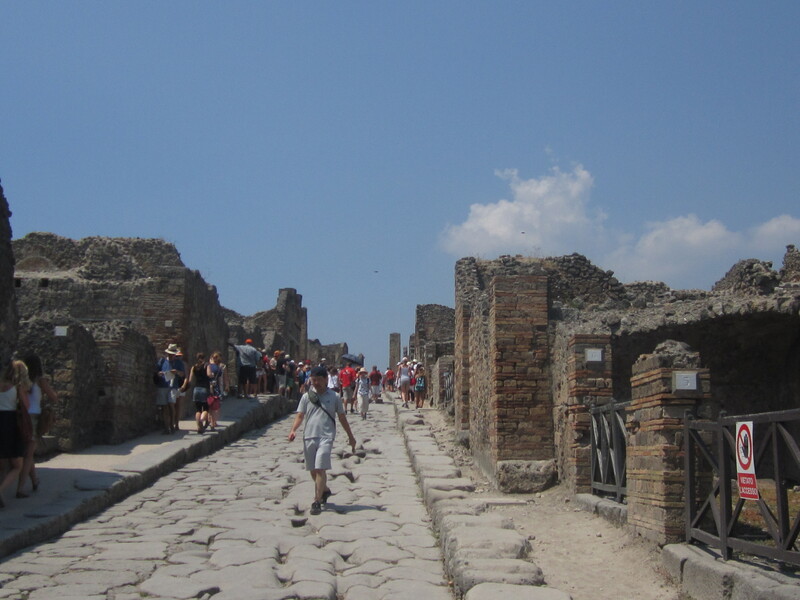 The site was lost for about 1500 years until its initial rediscovery in 1599. 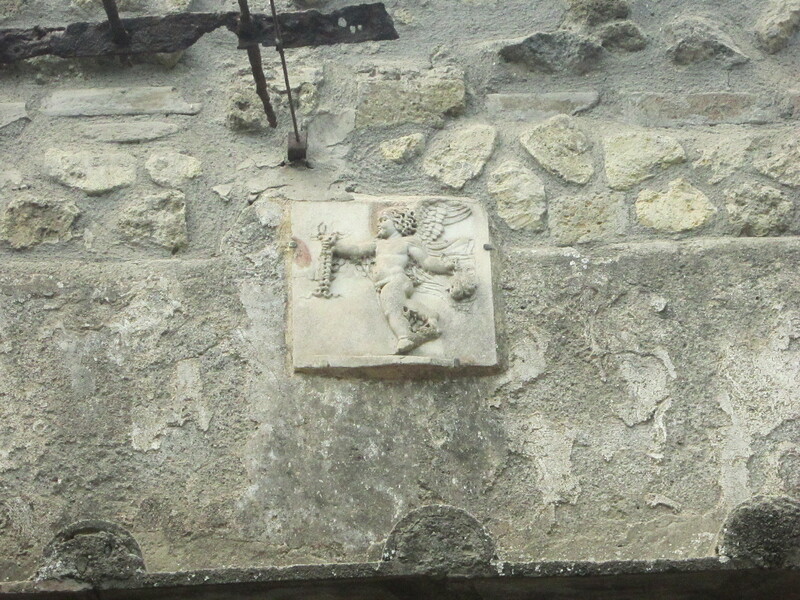 The objects that lay beneath the city have been well preserved for thousands of years because of the lack of air and moisture. 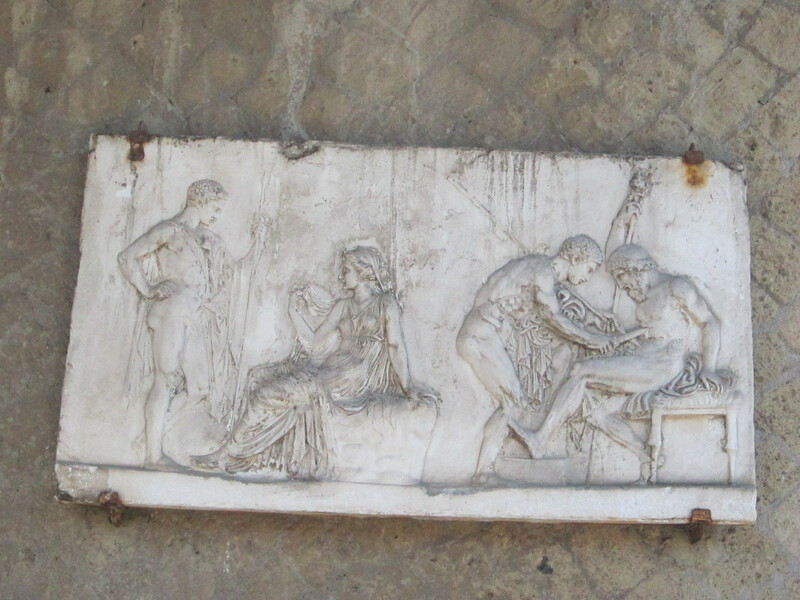 These artifacts provide an extraordinarily detailed insight into the life of a city during the Pax Romana. 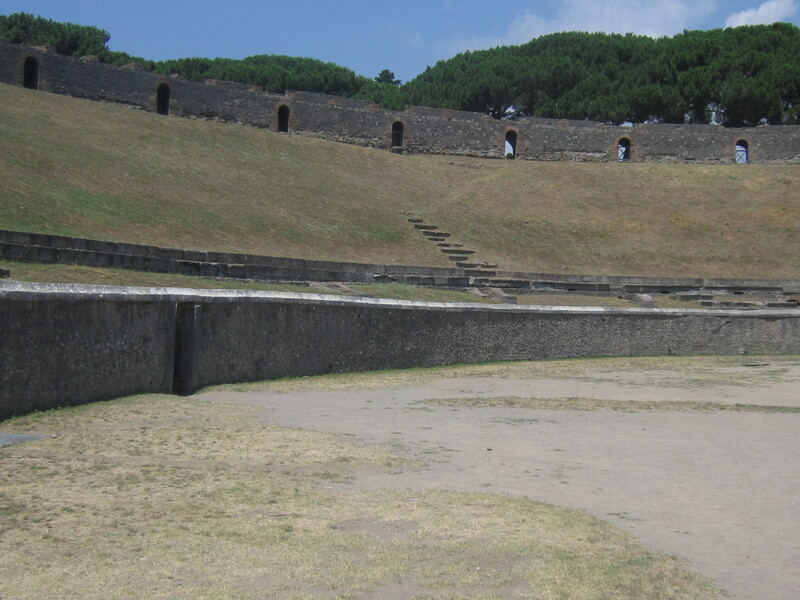 In 1971, the rock band Pink Floyd recorded the live concert film Pink Floyd: Live at Pompeii, performing six songs in the ancient Roman amphitheatre in the city. 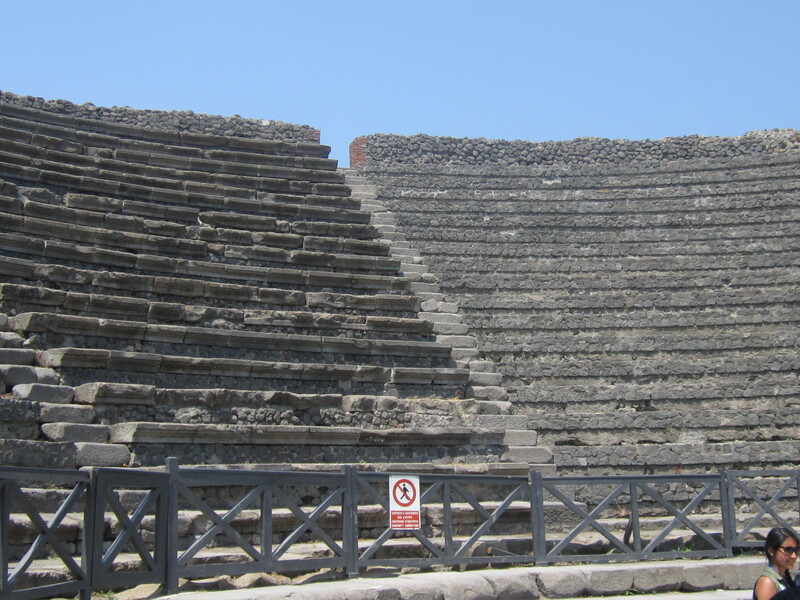 The audience consisted only of the film’s production crew and some local children.